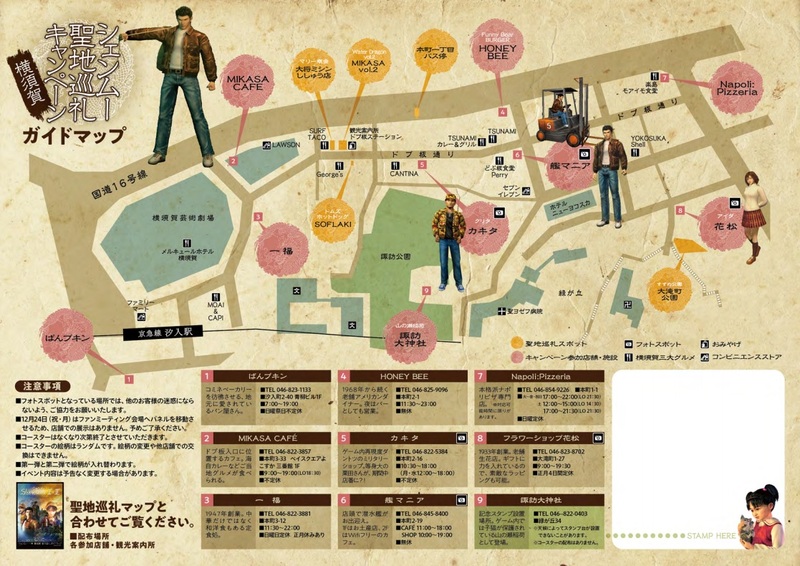 In a follow-up to their production of a Shenmue-themed guide map for the Dobuita Street area and environs last year, Yokosuka City and SEGA Japan have teamed up again with a new promotion called the "Shenmue Sacred Spot Campaign" to mark the upcoming release in Japan of Shenmue I & II on the PS4 on November 22nd. The promotion runs from December through to February of next year. 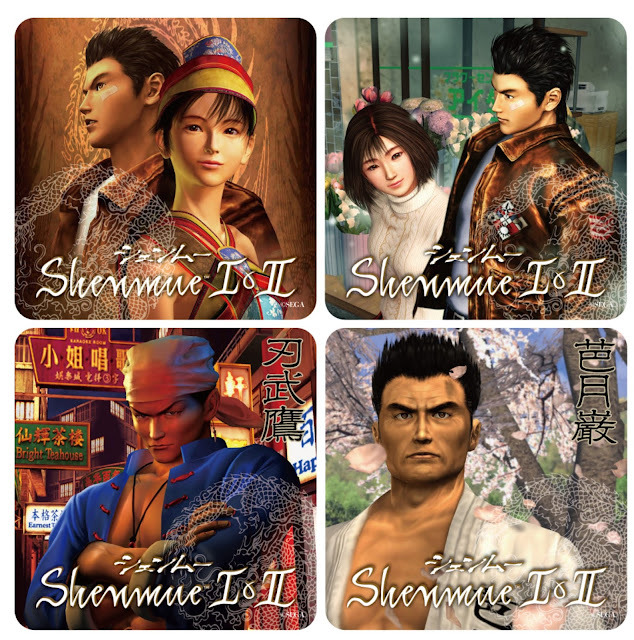 This time, original Shenmue-themed coasters are being offered in exchange for a minimum purchase at one of the participating locations. 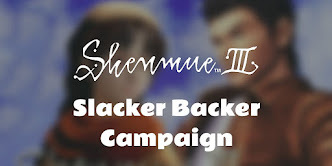 Not only that, but there are full-size cardboard cut-out figures of characters stationed around the area, and a new Shenmue promotional map of the area has been produced. Plus, on December 24th there will be a fan meet-up with special guest Masaya Matsukaze, the voice of Ryo Hazuki in the Japanese version of the games. Here's the information you need to know. 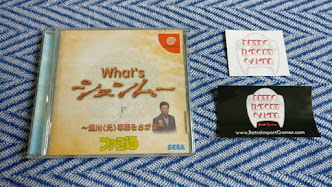 The promotion is based on locations around the town of Yokosuka, such as shrines, parks and shops, that evoke the 1986 setting of the first game in the series. This new campaign map highlights the sites of interest. Download the map here (Japanese only). Receive an original coaster for every purchase of 500 yen (including tax) or more at participating shops and restaurants. There are 12 designs in total, distributed randomly. Stage One (6 designs): 4 December 2018 (Tue) to 11 January (Fri). Stage Two (6 designs): 12 January 2019 (Sat) to 24 February (Sun). There are a total of 9 locations participating in this campaign, listed below. (Tap a name to open the location in Google Maps). Suwa(dai) Shrine - here, only a souvenir stamp will be provided. 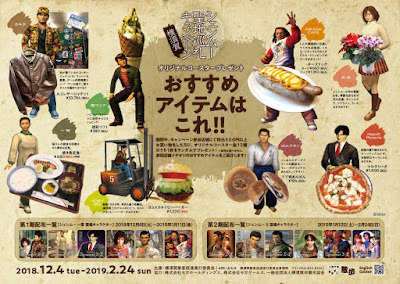 Full-sized boards of characters from Shenmue as well as a forklift, will be set up at various locations on Dobuita Street - stop by to take some souvenir photos. 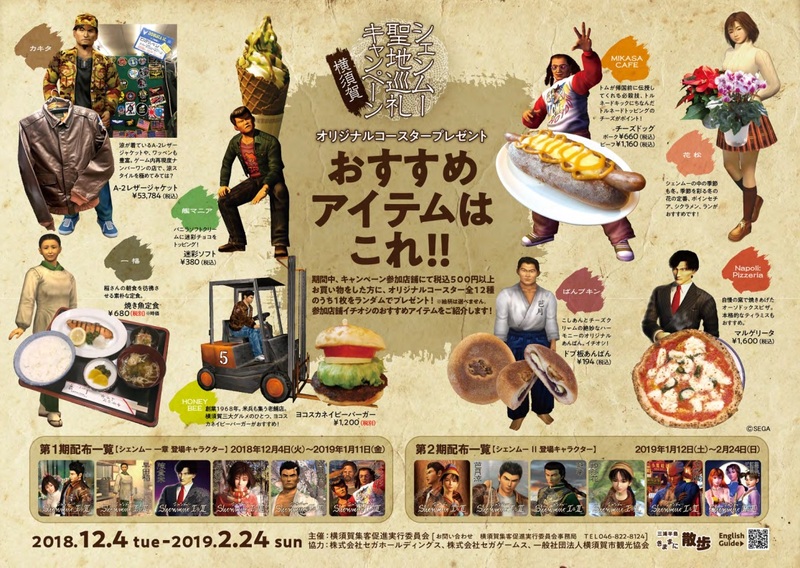 On their website, Yokosuka City encourages everyone to take this opportunity to come along and enjoy the world of Shenmue! On December 24th, a Shenmue fan meeting & talk event with Masaya Matsukaze & other guests will be held in Yokosuka. 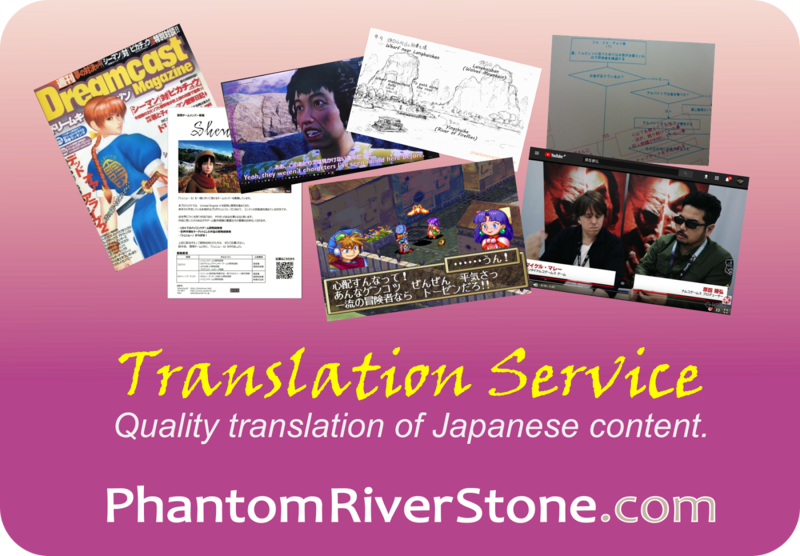 The event is jointly sponsored by IGN Japan (Esra Krabbe will be MC) and Yokosuka City. Live-streaming is planned. Attendance is limited to 80 people, with registrations open now at this link.